The National Archaeological Museum at Athens has displayed an artifact that they have dubbed as the ‘7,000-year old enigma’. As can be comprehended from its date, the mysterious object in question harks back to the Neolithic age. And beyond just its museum moniker, it is the historicity of the artifact that is baffling, with researchers not really sure about the form (and the related depiction) of the 36 cm (14 inches) granite statuette. The prehistoric artwork will be displayed until March 26 of 2017, and is presented under the title “The Unseen Museum”. The latter term refers to the roughly 200,000 antiquities housed in the museum’s storeroom, ranging from sculptures, jewelry to tools, many of which are not being exhibited on a daily basis. 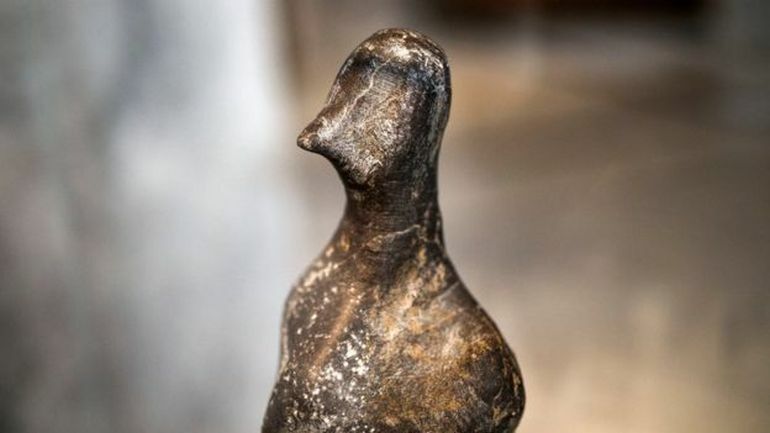 It could depict a human-like figure with a bird-like face, or a bird-like entity which has nothing to do with man but with the ideology and symbolism of the Neolithic society. Now other than just the form factor, there is the historical side of affairs to consider. But unfortunately in the case of the ‘7,000-year old enigma’, the museum sourced the Neolithic artifact from a personal collection. And judging by the few discernible attributes, the researchers have conjectured that the statuette possibly originated from the northern Greek regions of Thessaly or Macedonia. Interestingly enough, the enigma of the 7,000-year old artwork goes beyond its puzzling historicity. For example, given its date, unlike most Neolithic figurines, the artifact was carved out of hard rock – in spite of the sculptor having no metal tools to work with. And while 36-cm doesn’t seem too tall for a (possibly) human figurine, the object is larger than most of its contemporary Neolithic works. 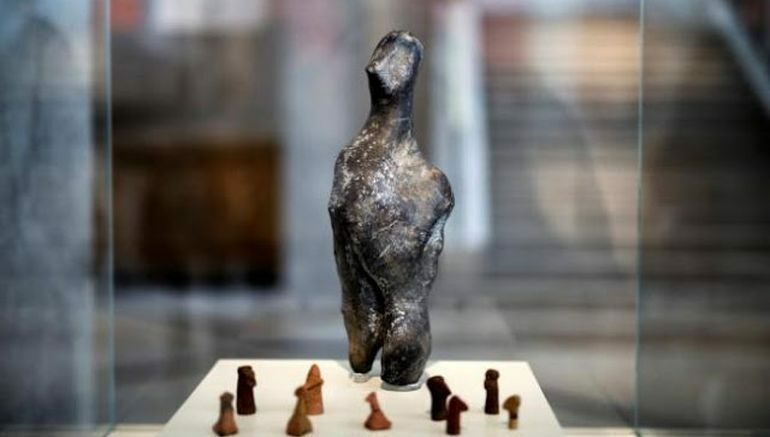 Yes, it could be a pregnant figure but there are no breasts, used in Neolithic times to depict the female body. On the other hand it lacks male organs so it is presented as an asexual figure. There are enigmatic aspects to it which make it charming.